I must say, this spring has been a bit temperamental. Some days are incredibly warm it almost feels like the middle of summer. Some days are mild and fresh, the way it should be at this time. Other days it’s cold and rainy. And some days…it feels like we’ve gone back to frigid cold winter. I thought I was done with my winter clothes and accessories! To deal with this yo-yo weather I decided I needed something warm, but not too heavy, to get me through this wacky spring. And thanks to the awesome people at Mountain Meadow Wool I was able to whip something up! Mountain Meadow Wool comes from the Big Horn Mountains in Wyoming, where the climate is ideal for producing soft and silky wool. 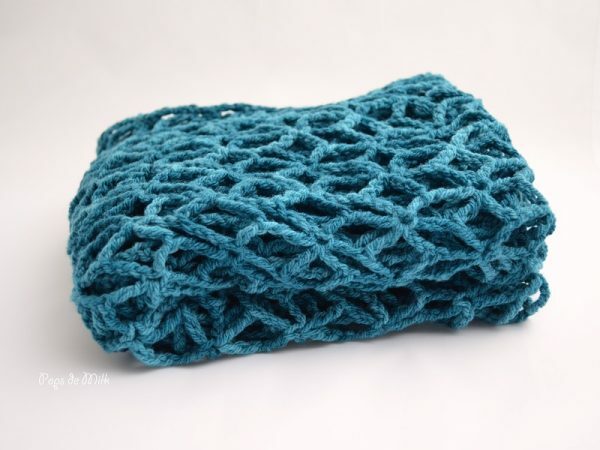 I was given two skeins of 100% Mountain Merino in a fresh and vibrant teal colour from their Alpine DK line. The yarn is so soft and squishy, it was very easy to work with, and I love that it comes from an ethical and sustainable spinning mill. 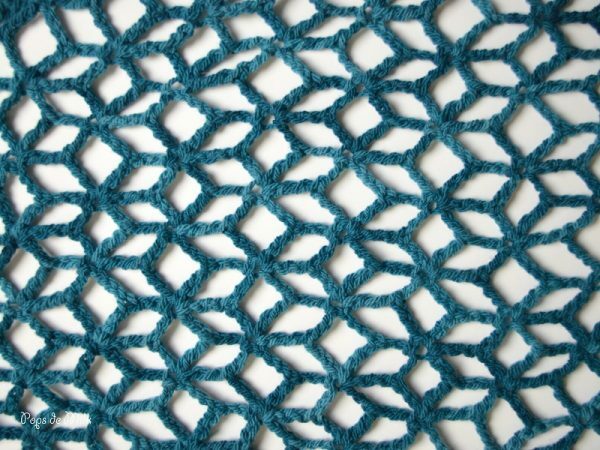 I decided to make the Lacy Isosceles Crochet Shawl by Lisa Gentry and used a size 6.00mm crochet hook. I also kept a relaxed stitch throughout. In total it took me about 8 hours to complete and I used both of the skeins of yarn. I find sometimes that natural fibres don’t like the way I crochet (aka the way I stab my hook through the threads, especially when I use larger hooks) and this yarn didn’t mind at all. It withstood the torment from my hook and didn’t unravel or break apart. 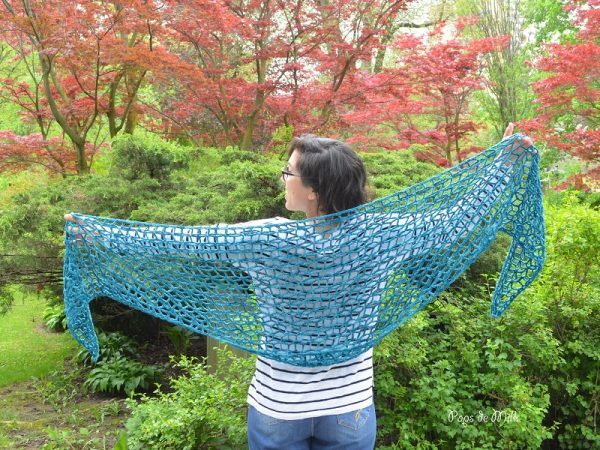 The end result is a soft and light shawl that is cozy and warm when the mornings are cool and so breathable when the day gets warmer. 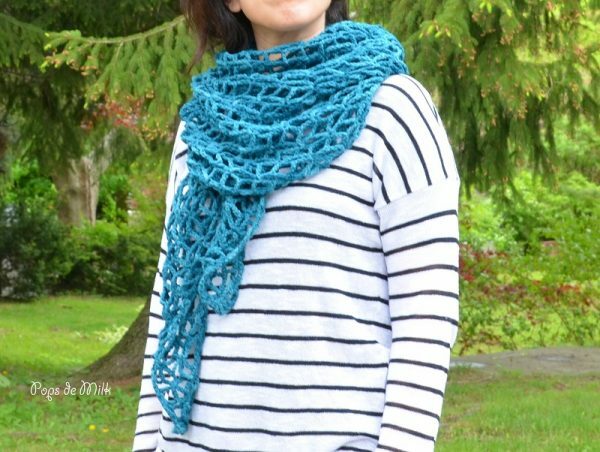 I would definitely use this yarn again to make garments because not only does the shawl feel soft against my skin, it also feels quite durable.